After completing medical school and a residency in family medicine at Queen’s University, Dr. Shadd practiced family medicine in rural Manitoba and Ontario. In 2004, he undertook a clinical fellowship in palliative medicine and his clinical practice has subsequently focused in this area. Before coming to McMaster in July 2015, he held academic appointments at the University of Manitoba in Winnipeg, Queen’s University in Kingston, and Western University in London. 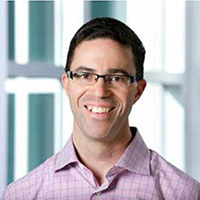 He now works as attending physician on the Palliative Care Clinical Teaching Unit at Hamilton Health Sciences St. Peter’s Hospital, and serves as Director of the Division of Palliative Care in the Department of Family Medicine at McMaster University. His main research theme is primary palliative care supporting the people who make it possible for patients to spend their final days at home. Additional research projects address topics including referrals from family physicians to other specialists, neuropathic pain in primary care EMRs, and interprofessional team functioning in non-cancer palliative care.